.Clinique A Different Nail Enamel for Sensitive Skins | Review & Swatch. 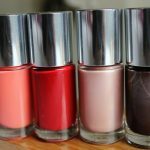 Stop the press – Clinique now make Nail Polish! But it’s not just any nail polish, Clinique are branding their newest venture as ‘A Different Nail Enamel’ and that it certainly is. 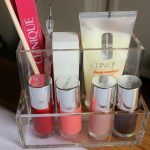 Clinique’s brand is centered around skin friendly makeup products developed by dermatologists to help those with all skin types look fabulous and their new polishes come with the same ethos. On average we touch our eyes 200 times a day, so for those with sensitive skin nail polish can actually irritate the delicate eye area and cause discomfort. These new nail polishes however are created to help those with sensitive skin and minimise irritation – and they look amazing too! The colours i have from left to right are: 05 Really Rio*, 08 Party Red*, 03 Fizzy* and 10 Indie Rock*. 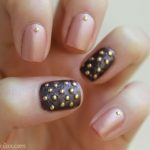 I’ve used Fizzy and Indie rock to create the first manicure with Essie’s Matte About You and some small round gold studs* from Born Pretty Store. 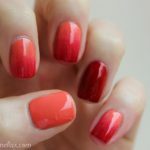 The second manicure is made with Really Rio and Party Red with the solid colours as accents and a gorgeous gradient on the others using just those two colours and a makeup sponge! The consistency and application of these polishes are lovely. They’re almost opaque in one coat and dry evenly and quickly, i’d certainly buy more as some of their other colours look gorgeous. Their deep comfort hand and cuticle cream is amazing too, it’s made itself a permanent spot in my handbag already! 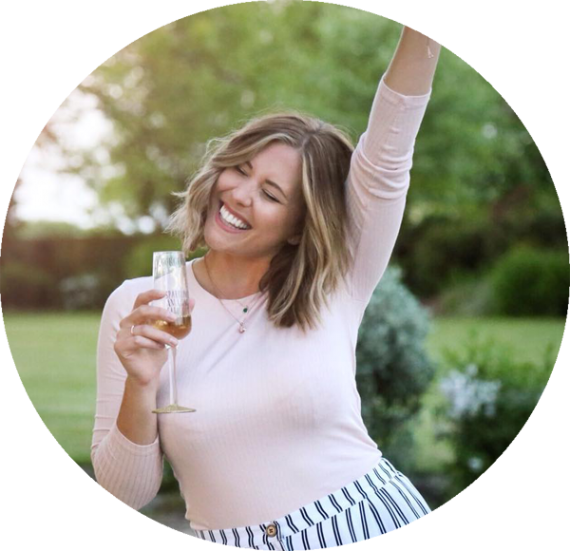 You can buy Clinique’s Different Nail Enamel on their website HERE right now for £12 a bottle, and they’ll be rolled out to Clinique counters nationwide on the 31st of May! Will you be trying any of the new Clinique Nail Enamels? What’s your favourite colour from above?